Companies and individuals who value privacy look for a reliable data destruction service provider that will make sure that data stored on tapes and hard disks will already be deemed as unreadable and useless. We’re well aware that merely deleting the file is never enough. 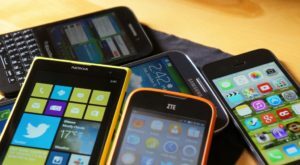 We at Saugus E-Waste Recycling make sure that data handed to us for destruction will no longer be accessible by the operating system and the application that created such data. Total data elimination will ensure protection of sensitive company information and avoid the possibility of leaking such information to competitors. Data theft is a serious concern that should not be allowed to happen. We have with state-of-the-art equipment and the most modern mobile shredders to ensure data destruction using only the highest industry standard. Do you have old electronics cluttering up your attic or garage? Saugus High School Softball and All Green Electronics Recycling have teamed up to host an event to help you get rid of them responsibly–absolutely free of charge! Members of the community and businesses are encouraged to clean out their garage or attic and donate their old electronics to a good cause. 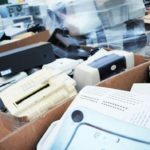 Bring all of your old electronics to the event, including, but not limited to: computers, monitors, televisions, printers, mobile phones, laptops, DVD players, VCRs, microwaves, calculators, iPods, cables and wires, telephones, fax machines, scanners, computer parts, and more. All Green Electronics Recycling promises to recycle everything it accepts in North America and to never send electronics to a landfill or overseas for processing. Certified Data Destruction is available for a small fee at all of our events.